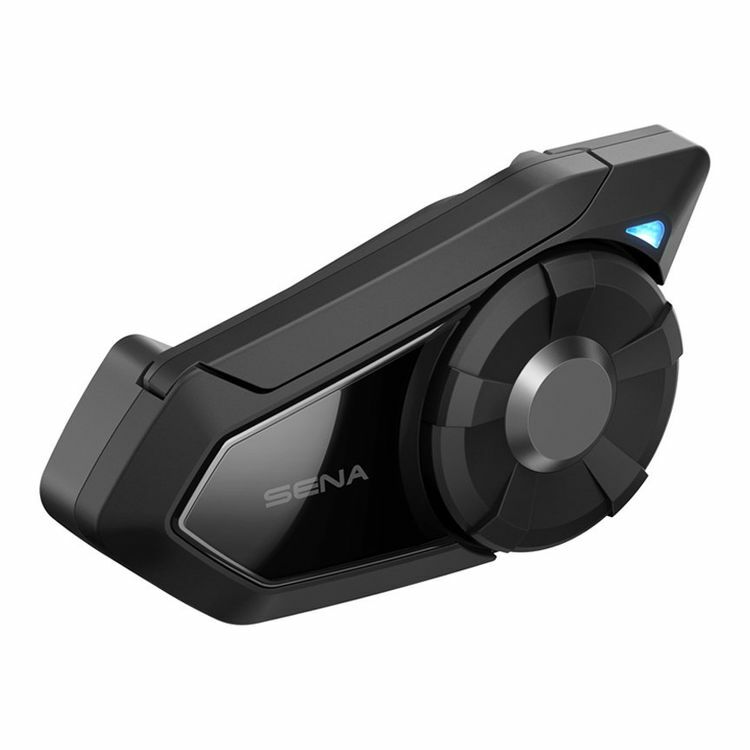 The Sena 30K is not simply a Bluetooth headset, it is an adaptive-mesh communicator: the future of wireless communication. The 30K operates on Sena’s Mesh Intercom technology, a 2.4 GHz frequency, connecting to other riders in an entirely new way. Group connectivity is made simple with the 30K. Should one of the group’s riders go out of range, the Mesh Intercom intelligently keeps the rest of the group in seamless communication, while actively searching to reconnect, should that rider come back within range. Never again will you have to stop and reconnect, or worry about dropping connections from overly-complicated daisy-chain group pairings. Utilizing two antennae and two separate and dedicated processors, the Sena 30K is both a 4.1 Bluetooth headset and an Adaptive Mesh-Networking device, the two working simultaneously in concert within one low-profile unit to accomplish all your communication and entertainment needs. Sena 30K Audio Multitasking technology allows you to have a conversation via Adaptive Mesh-Networking technology while simultaneously enjoying Bluetooth operations such as streaming smartphone music, taking or making phone calls, or listening to turn-by-turn GPS navigation, so there is no clunky navigation between devices or channels or frustrating re-pairing of devices. Promising the smoothest, most uninterrupted listening experience ever, the Sena 30K is a huge technological leap forward - simplicity through sophistication, so you can focus on the important part: enjoying the ride. Using the private group mode, the 30K can pair in full duplex communication with up to 16 riders at a range up of to 1.2 miles, while an endless amount of additional Guest users can tune in for listening only. When riding with 5 or more riders, the Mesh Intercom is capable of keeping the group connected at a range of up to 5 miles. 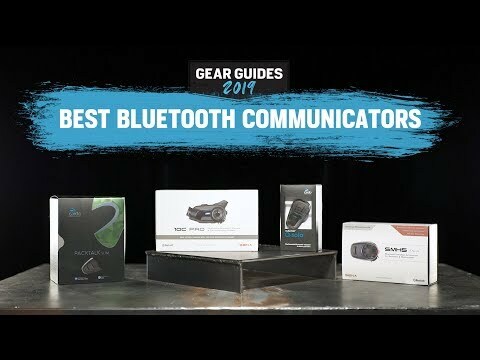 Although Mesh Intercom is the next big thing, you won't leave your Bluetooth buddies in the dust either. 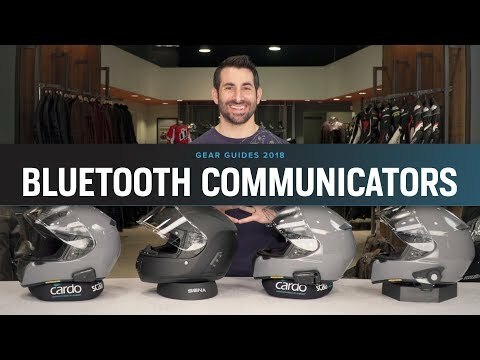 The 30K is still capable of pairing with up to 3 other Sena or non-Sena Bluetooth communicators at a range of up to 1 mile, depending on the range of your riding buddies' headsets. Using Sena's RideConnected Mobile App, the 30K is also able to connect with riders anywhere in the world via your mobile network. Note: The Sena 30K is only able to Audio Multitask with other Sena 30Ks. I like everything about this unit! Early review but loving it so far! Installed on a 3/4 helmet and have had zero issues. The voice commands have worked well and I enjoy being able to switch from listening to music to making a phone call. Very unhappy with the 30k due to the constant static, popping and interference. This noise was happening while I was sitting still so no chance its wind noise. Worked with Sena Tech Support (Case # 277766) on two separate occasions with no solution. They suggested a firmware upgrade but the unit was already on 2.0 which was the highest at the time of this review. Sena then suggested I do a Fault Reset ,Factory Reset and then re-pair to another Sena unit. I did so with no changes in the noises coming over the speaker. Armed with a case number I called Revzilla and they immediately began to work towards a refund. I ordered a Sena 20S Evo in place of the 30K. Lets hope that unit works properly. Sena does a pretty good job on this but i am not a big fan of how big these things are on your helmet. I would rather have something more low profile. I would have gone to the sport bike model except they don't make those to be able to take off your helmet. Voice commands are a bit clunky but other than that it does what it's supposed to do. Very easy to install, even on my Arai helmet, battery life is great, no complaints. Great products amazing sound shipping was fast love product and would buy another. Use every day all weather works very well. I went from an SMH-10 to the 30k. The features are very familiar, but the sound quality went waaaaaaaaaaaaay up. The speakers are so much better, and everything about this unit feels natural. The mesh DOES drain the battery, but I just leave it off because we're in the starting stages of people using mesh, meaning I'm the first one of my riding buddies to have anything able to run it anyway. The foam pads that go around the speakers. I need these pads or else the cold metal pressing against my ear makes it hurt after just a few minutes. Putting these speakers in a Shoei RF-1200 makes my ears drag against them every time I put the helmet on and take it off. The foam ends up ripping after 2-4 weeks and I have to order new foam, remove the speakers, rewrap them, and put them back on (to the tune of about $5-10 per pair, since Sena doesn't just sell the pads themselves). The voice activation has a habit of randomly popping up when I'm talking with people on the intercom, cutting me off until I cancel it. As much as I would love to keep voice activation on, it's way too intrusive. As much as I like the 30k, the biggest drawback is tearing those speakers out to replace foam pads all the dang time. Unless I can find a different sort of speaker pad, I'm thinking about talking my friends into switching to Cardo with me when they come due for bluetooth replacements. Upgraded from Sena 20S to 30K. Good tech improvements including: Voice Commands, Speed of prompts and response, Mesh Intercom. Needs: How 30K works with Motorcycle Brands (Indian, Harley, Honda, BMW, etc) MC connections and operations are different. Both my roommate and I wear AGV helmets, I've got the GT Veloce and she has a K3. My roommmate needed to replace her 10S because the unit itself flew off the helmet docking part (it had been down a couple times and was definitely on its last legs), so since I'd been lusting after the 30K for month anyways to replace my 20S, we both went in on a dual pack. I installed hers before we left the store (bought at the local Cycle Gear, but posting this review everywhere), and on the ride back, she noticed that the volume wasn't very loud and she couldn't hear it over 40mph on her Ninja 300, which is ridiculous. So I installed mine and then took on the task of looking up forums to see what could be done to improve the volume output. I considered aftermarket speakers (largely no change in volume according to forums) and trying to hack the software (unable because I don't even know where to start with that), but spent two weeks trying every change in setting and positioning possible to try and get the unit to produce sound similar to the level that I was used to. I couldn't hear the sound at all over 50mph on my S1000R with custom fit earplugs. My 20S I was able to be heard up to about 120 or so until wind noise overwhelmed it. Nothing helped, and for a unit that it supposedly the 'newest and greatest' it's ridiculous that it can't at least kind of match the volume of the previous generation. The final straw was a side by side comparison of my 20S and the 30K outside of the helmet and the sound difference was ridiculous. So we returned both 30K headsets and she got a 20S Evo, which has volume levels much higher than the 30K when I matched the settings on it to my 20S. We were both extremely disappointed by the absolute failure of the 30K.